Offers golden triangle cultural package tours to delhi agra jaipur along with rajasthan cultural attractions of udaipur, pushkar and jodhpur etc. Customer can alters the destinations and durations according to his need. Tour representative will meet you at the international airport & transfer to your pre booked hotel. After an early breakfast in hotel. A guided tour of the combined OLD & NEW Delhi takes you to the lustrous Mughal edifices of Red fort and Jama Masjid. Take a rickshaw ride through the bustling streets of Chandni Chowk , once the main shopping hub of the royal family, enjoy some mouth watering delicacies of the market. Travel to the green meadows of Rajghat and India Gate. You are also taken to the magnificent Lotus Temple as well as the Birla Mandir ( Also known as Laxmi Narayan Temple ). The day is over with such spectacular vision of the Akshardham Temple, Qutab Minar, Rashtrapati Bhavan, The Mughal Gardens and many more. Later you are back in your hotel for overnight stay. After an early leisure breakfast in hotel drive to Agra. En-route visit sikandra famous for Akbar Tonb. Upon arrival in Agra check in at the pre booked hotel of your choice as mentioned in tour plan. Evening visit to Incredible Taj mahal. Overnight stay will be at the hotel. 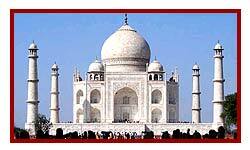 After breakfast, tour guide will take you for full sightseeing in Agra. In the evening, begin journey for Jaipur. On reaching check in the hotel. Relax in hotel or you can go for shopping in the handicraft market. Overnight stay will be at Jaipur hotel. After breakfast, your tour guide will take you for full day sightseeing of Jaipur. 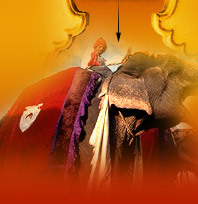 Start the tour from enjoy elephant ride at Amber fort followed by visit to Jaigarh and Najargarh and then visit the famous Jal Mahal, Royal City Palace, Hawa Mahal - Palace of Wind, Jantar Mantar and if time permit go for birla temple visit and in evening you can opt to an ethnic village in jaipur known as Choki Dhani. Overnight stay at the hotel. After breakfast, tour representative will transfer your luggage into the car or you can take train to jodhpur which will take you to your next destination of Rajasthan known as Sun city - Jodhpur. Upon arrival check in to your pre booked hotel. Overnight will be at the hotel. 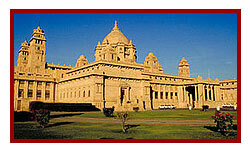 After breakfast, tour guide will take you for full day sightseeing in Jodhpur. In the evening, begin journey for Udaipur in Car or you can opt for train. Upon arrival check into pre booked hotel in Udaipur. After breakfast, city tour of Udaipur. Visit the romantic Lake Palace amidst the Lake Pichola, constructed out of white marble that gleams in the sun, definitely takes your breath away. Also visit shaliyon ki bari, Kala kendra ( for cultural and puppet show ) and Fatehsagar lake for enjoy boat ride and if time permit can also visit Sajjangarh fort. Late afternoon, enjoy a boat cruise on Lake Pichola at sunset visiting the Jagmandir Island - in the middle of the Romantic Lake Pichola. Evening at leisure, enjoy the recreational activities at the hotel, you can indulge in various sports activities, swimming or luxuriate in bar room with some finest wines of your choice. Overnight stay at hotel. After breakfast, journey to Pushkar will begin. Later visit Ajmer. A prayer at Dargah. Night stay at the selected hotel at Pushkar. After breakfast check out from hotel & drive to Delhi & directly transfer to Delhi International Airport for onward destination / Home with lifetime memories of cultural rajasthan tours.